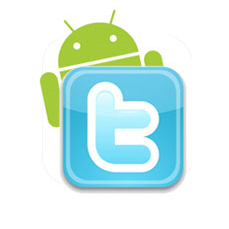 After last week's acquisition of Tweetie by Twitter itself, we've been kind of expecting this, and now it's official: Twitter is going to have an official Android application. @ev, Evan Williams, Twitter's CEO made the announcement today at the company's first ever developer conference, called Chirp. He didn't specify whether the official app would be a ported version of Tweetie or a brand new application, or whether Tweetie developers would be involved in its development. Tweetie produced clients for Mac and iPhone before getting acquired by Twitter on April 9th. More details to come as new information trickles through.